If I'm going to earn the right to keep the "Calgary" prefix on this blog's name, I feel it's my responsibility to cover Calgary politics. As such, I begin the first of my 764 part series, profiling the gaggle of candidates vying to replace Dave Bronconnier as Mayor of Calgary. Sadly, with Craig Chandler siting out the race, Calgary doesn't have a mayoral candidate as nutilly right wing as Rob Ford. This is something I will take great pleasure in pointing out the next time a Torontonian tries to portray Calgary as conservative backwater. However, after 20 years of Liberal mayors, we do have a Conservative frontrunner in this race. About Ric: Don't let the mustache fool you, McIver is as conservative as they come. His first campaign manager was none other than the aforementioned Craig Chandler and you can find pictures on Ric's flickr account of him volunteering for Stephen Harper and speaking at a rally against the undemocratic socialist separatist coalition. The site also contains pictures of Ric wearing nothing but a Conservative Party t-shirt. On council, McIver has spent the last 9 years as the unofficial "opposition leader" to Mayor Bronconnier, earning his "Doctor No" nickname. He has railed against wasteful spending. He led the yellow ribbon charge. He's opposed Bronco's attempts to build bridges. So it comes as no surprise to anyone that McIver is running for mayor or that he leads all other candidates in terms of name recognition. McIver has run a cautious campaign, and he has produced a cautious website. Candidate smiling in front of Calgary? Check. Donation, Volunteer, and Take Action buttons? Check. Some pictures here, some press releases there? Check. But really, there's little to get excited about on this site. Which is fine - McIver has name recognition, money and volunteers. He doesn't need an aggressive online presence. My Take: I actually don't have a problem with Ric, and not just because I made a bet last year that he'd win this election. Even if I don't agree with him, he's always been consistent and true to his principles. However...colour me unimpressed with his campaign to date. The man has gone from Doctor No to Mister Sure. Airport tunnel? Sure! Ring road? Sure! If you read Ric's "vision" of Calgary, it certainly doesn't sound any more conservative than NDPer Bob Hawkesworth's. Hell, Hawkesworth is against the airport tunnel because it's too expensive. Beyond that, McIver's one page vision is nothing more than municipal buzzword mad gab. "Building complete communities where Calgarians can live, work and play without long commutes." intelligent downtown parking policies will help re-vitalize the core." "Budgeting will be responsible, taxes justified and transparent"
This isn't just me being a jerk and picking out select lines - in McIver's one page "complete vision", the most exciting piece of policy he tosses out is a promise of "smart snow removal strategy". I have no clue what this means, but I'm hoping it involves Mr Plow. In fairness to Ric, there's no need for him to release his full platform this early in the race, and I expect the surprise entry of Barb Higgins will lead to a bolder campaign than he would have otherwise run. But, so far, McIver appears content running a typical frontrunner campaign. OTTAWA — Veteran Liberal MP Maurizio Bevilacqua is resigning, paving the way for a mayoral bid in his hometown of Vaughan, Ont. Bevilacqua says he informed Liberal Leader Michael Ignatieff Wednesday that he won't be seeking re-election and the leader thanked him for his years of service, a party official said. He's expected to formally resign his parliamentary seat, which he's held for 22 years, later this week. This will set off an interesting fall in Vaughan, with a hotly contested mayoral race and a hotly contested by election. Vic Toews calls on all Canadians to be "vigilant against terrorism", to help the government apprehend terrorists. I, for one, say we just scrap the whole election and go straight to a dance off! So what's the verdict? I think I may have to reluctantly give the edge to Harper. Who has the better dance moves? The writ drops today for the New Brunswick election, with the opposition Conservatives led by David Alward trying to oust Liberal incumbent Shawn Graham. I must confess that my knowledge of New Brunswick politics is mostly limited to Frank McKenna and Bernard Lord leadership rumours, so I don't have many insights to share. I really like what I've seen of Shawn Graham - he's tried bold moves to turn around the province's economy and I liked the philosophy of government he espoused as a guest speaker at the 2006 Liberal Leadership Convention. Of course, given the fiasco over the sale of New Brunswick power, and his putrid approval rating, he's certainly going to be in tough. I invite anyone more up on the election to share their comments below (Eric at 308 has a good primer). It's been well publicized that the former two Chief Statisticians in this land were against the Census changes - one of them led the charge against change, and the other resigned in protest over it. The results of the voluntary National Household Survey, which will arrive in Canadian mailboxes in spring, “will, of course, never be comparable to census data,” Wayne Smith said in an internal Statscan publication obtained by The Globe and Mail. Over at The Mark, I take a look at the Liberal Party's tumultuous love affair with Quebec voters over the years, and the state of the party in La Belle Province moving forward. Mayoral candidate Rob Ford had a 1999 marijuana possession charge against him dropped, the Toronto Sun reports. The newspaper says he was pulled over on vacation in Florida and was found with a joint in his back pocket on Valentine's day 11 years ago. But this story illustrates how Toronto's mayoral election has become "All. About. Ford." And if the vote turns into a referendum on this tea party north candidate, that certainly bodes well for Smitherman. UPDATE: Ford has also admitted to being charged twice for assault and once for failing to provide a breathalyzer. Hoping to breathe new life into his government after a summer marked by blunders, Ontario Premier Dalton McGuinty unveiled a cabinet shuffle that elevated two new faces, and had several veterans either demoted or switching chairs. John Gerretsen lost his position Wednesday as the province’s Environment Minister, and has been moved to Minister of Consumer Services, after the controversial eco-fees program that led to a significant backlash from consumer and retail groups last month. And Rick Bartolucci was shuffled from Minister of Community Safety and Correctional Services to Municipal Affairs and Housing after the government faced scrutiny about handing special powers to police during the recent G20 summit in Toronto. Jim Bradley is switching jobs with Mr. Bartolucci. In addition to shuffling some of his veterans, Mr. McGuinty added two former mayors to the mix.Former Winnipeg mayor Glen Murray and former Ottawa mayor Bob Chiarelli, who both won Liberal by-elections earlier this year, were awarded posts as Minister of Research and Innovation and Minister of Infrastructure, respectively. For analysis, check out Radwanski. Mr. Wright is awaiting a bill introduced in the Commons in April that would create 30 new ridings, giving 18 seats to Ontario, seven to British Columbia and five to Alberta. What makes the legislation controversial is that no new seats will go to Quebec, which already has 75 in the House. The pollster asks: Why bother with Quebec? Mr. Wright suggests the Harper government has already given up trying to woo the province after making so many concessions with so few results. But if the Liberals and Conservatives think they can get a majority by ignoring Quebec and waiting until the boundaries are redrawn, they are sadly mistaken. Personally, I don't think it's ever wise for a political party to give up on any part of the country. Five or ten seats anywhere is the difference between winning and losing, or between majority and minority. To completely write off a region is irresponsible and a lot of people would take it as a sign the party in question isn't ready to govern. But when looking at the math, there's an argument to be made that Quebec simply isn't the best use of resources for any of the federalist parties right now. You quickly see that there isn't a lot to fight over in Quebec. The Liberals and Tories each have about 6 swing seats right now to look at in Quebec - less than they have in Atlantic Canada (11 and 10), Ontario (19 and 20), or even the West (12 and 15). That's not to say they should ignore the province when it comes to resource deployment - those Quebec seats are grouped together and can be targeted. But in terms of making huge policy concessions that will hurt you elsewhere in exchange for votes in Quebec? It just isn't good politics. Now, I put some caveats up front and I'll add some more here. The "simple majority math" example is really only looking at the short term. It requires the Liberals to win 84 seats in Ontario, which isn't sustainable in the long run. The goal should be to get in a position where more and more seats in places like Western Canada and Quebec are in play than right now. Similarly, it would have been tempting for Harper to give up on Quebec completely after looking at the 2004 election results. But he didn't, and it won him the 2006 election and nearly got him his majority in 2008. There's absolutely no reason the Tories can't win seats in rural and suburban Quebec, just as there's absolutely no reason the Liberals can't win more seats in Montreal, Quebec City...Regina, Edmonton, and Vancouver. But in terms of targeting regions for the next election? Well, Quebec has become more and more like Alberta - there simply aren't enough seats in play to justify pandering to voters there. Calgary: Calgary is still buzzing over Barb Higgins' entry into the Mayoral race, and there are reports she has hired Liberal strategist Don Lovett as her campaign manager. On the policy side, frontrunner Ric McIver has released his vision for Calgary, and Higgins has responded with her "policy framework". Both are bland, unoriginal, and short on specifics (the platforms, not the candidates, both of whom I find intriguing). Fellow candidate Naheed Nenshi offers a strong critique of these policy "announcements" on his site. The airport tunnel is emerging as a big issue. True to the bizarre nature of Calgary politics, the right wing candidate wants to spend and the NDP proxy in this race thinks it's a waste of money. Go figure. Toronto: With John Tory out of the race, it's now very much a Smitherman versus Ford affair. And the Smitherman campaign is starting to turn up the heat, launching an attack "FordonFord" website. Edmonton: Edmonton Politics is the must see source for this one. Also, Alex Abboud runs down the hotly contested ward races. Montreal: Speculation is now rampant about the next mayoral election...in 2013. Good grief, we'll probably have 2 or 3 federal elections before then. Regardless, the latest rumour has Denis Coderre making the jump to municipal politics. My anonymous Liberal sources have also confided to me that Martin Cauchon is now considering a run for Montreal mayor in 2013. 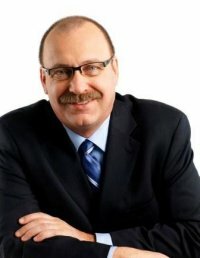 Dauphin: Tory MLA Inky Marr is running for mayor. Which means, in Inky's opinion, being a backbencher in Stephen Harper's caucus is a less glamourous position than being mayor of a town of 8,000 people. I try not to get too worked up over summertime polls. Canadians aren't thinking about politics, and even a barrage of Census news stories isn't going to change their vote intent much. At least not right away. After all, people are at their cottages and drinking lemonade. They have better things to do than talk to pollsters. So there was really no need to panic when Ekos' Canada Day weekend poll showed the Liberals at 23.9%. And the Tories probably don't need to lose much sleep over an August long weekend poll which had them below 30%. Still, with a barrage of polls released over the past week, there's no harm in posting a poll soup update. NOTE: The overall numbers are weighted based on sample size and pollster accuracy, using the weights I devised for my seat projections. I'll update the seat projections in September since, as I said, there's no point getting too worked up over August horse race numbers. In all the pages and pages of Census e-mails and documents released Tuesday, the excerpt above is probably the most telling. Just 2 days before the Census changes were made public, an internal Communications Plan was circulated proclaiming "These changes will not have a negative impact on the quality of the Census. Response rates and data quality will be comparable to previous censuses." In the margin was a lone voice of reason - "Really? Won't some stakeholders argue the opposition?". I'd say that's the understatement of the year. This document reveals so much about what went wrong for the government and how one of the unlikeliest fiascos in Canadian political history was conceived. Just two days before the move was announced, they solicited "initial comments" on the plan...and it occurred to the government some people might oppose it. Presumably this "grid on reactions" was heavy on passive aggressive tweeting. They were not prepared, and it shows in the aftermath. Three days after the change was announced, Clement's Communications Director e-mailed StatsCan asking if any other G8 countries used voluntary censuses. This is a fact so basic you'd need it for any sort of communications strategy - clearly, there was no expectation they'd actually have to defend the move. Two weeks later, his office was asking questions about what this change meant when it came to releasing data 92 years later (as is done for Census data) - to me, this isn't so much a communications problem, as a sign they hadn't at all considered the ramifications of their actions. Clement himself had his facts wrong on his first public statement about the changes (on Twitter, 3 days later), and he did not issue a real defence until 9 days after the change was announced, when he first mentioned the "coercion" argument (on Twitter). He answered questions for the first time two days later - again on Twitter, and again it showed he did not fully understand the issue. At this point, the government was still hoping the issue would die. Sure, statisticians were angry and there had been newspaper editorials but the story was just too boring to last longer than a week or two. After all, it wasn't like Helena Guergis was involved in it. But the story didn't die. So sometime around July 15th, the government decided to fight back. Clement's office asked StatsCan for information about "Jedi responses" and prosecutions (yes, 3 weeks into this story, they still weren't aware no one has ever gone to jail over not filling out a Census form). Three days later, Dmitri Soudas sent out a letter on the topic. The first mention of the PMO in any of the released documents falls on this same weekend, so it seems likely this was when they first started taking it seriously (how could they not after watching Clement flail around?). That was also when Maxime Bernier started pontificating, either by coincidence or PMO design. Clement also began doing more interviews on the topic. In retrospect, he should have stuck to Twitter. Despite knowing very well that StatsCan had spoken against the change (and had begun saying things in e-mails like "with the utmost respect, the answer you provided is factually incorrect"), Clement made it sound like everything was hunky dory at StatsCan. Despite all evidence to the contrary, Clement kept up the idea that StatsCan supported the move. At McGill. In a Globe & Mail interview. His office kept pushing for Sheikh to validate the government's decision - something they had made it clear they could not do. As StatsCan e-mails show, they believed Clement had "decided to put the ball in [their] court". So on July 21st, Munir Sheikh resigned. By putting the ball in Sheikh's court, Clement turned a bad news story into the Great Census Crisis of 2010. And now, thanks to these documents, the story has morphed into one of whether or not Tony Clement lied. Generally speaking, stories about lies and cover ups are easier for the general public to digest than ones on survey sample methodology. This can all be traced back to that first "won't some stakeholders argue the opposite" comment I posted off the top. Simply put, Clement's office didn't understand what they were doing and didn't expect anyone to care. As a result, we're now into week 7 of a story that simply refuses to die. So if Tony Clement feels lonely, he really has no one to blame but himself. For background on Census issue, you can read "Everything You Always Wanted To Know About The Census (But Were Afraid To Ask)"
Stung by francophone anger, the Harper government is adding questions on French and English skills to the obligatory short-form 2011 census. It’s a bid to quell the linguistic minority's fears that scrapping a longer mandatory survey will make it harder to measure their presence in Canada. These questions were part of the 40-page long-form census the Conservatives are making voluntary over the objections of a broad range of economists, statisticians, provincial governments and researchers who warn it will undermine the reliability of Statistics Canada's data. The decision came the same day a francophone appeal of the government's decision to abandon the obligatory long-form census scored a modest victory. A Federal Court judge agreed to expedite the French-Canadian group's application for an injunction against Ottawa's census changes. In the same breath, however, Industry Minister Tony Clement also announced the Tories plan to chip away even further at the coercions put in place to convince Canadians to fill out Statistics Canada census forms and surveys. He said the Tories will bring in legislation this fall to remove jail time as a possible penalty for refusing to fill out any and all surveys. This includes the still mandatory short-form census, which until now was composed of about eight questions, as well as all other surveys conducted by Statistics Canada. 1. With the Census having gone to print on Monday, what will the additional cost of this change be? 2. With the threat of jail time gone, why not make the long form mandatory? I thought the coercion of jail time was the entire rationale for this change? Mr. Clement said the medical journal and other critics should trust Statistics Canada. On a voluntary Census we can get up to a 65-70% response rate, which is still not an acceptable outcome for a census (although it is for some social surveys of a recuring nature) and will require a substantial amount of additional funding. Now: Michael Ignatieff’s principal secretary and top Quebec aide quit because the Liberal Leader doesn’t know the province “from Minnesota,” Stephen Harper’s strategists say. The gloating memo, sent to Tory MPs and supporters Monday, was inspired by the departure of Jean-Marc Fournier. A former member of Quebec’s National Assembly, he left Jean Charest’s government in November, 2008, and went to work for Mr. Ignatieff. “Yeah, there are groups that are upset” about the government's decision, Clement told reporters. Realizing fewer people will fill out a voluntary form, the government will send it to twice as many households, Clement said. He said businesses or others who don't think the data is good enough can pay to get their own surveys done. 1. Cities, hospitals, businesses, and a slew of other Canadian groups used to get "good, quality data" to help them make decisions, plan programs, and offer services to Canadians. This was a bad thing. 2. Given Clement's use of the past tense, he concedes they will no longer get "good, quality data". 3. The government used to pay for this freeloading, which was unfair. 4. The government will now pay an extra $30 million under Clement's new plan. Not much to see here. The PM trusts Baird, but we already knew that. Brett Favre retires, Bristol and Levi break up, and John Tory announces he's not running for mayor of Toronto. OTTAWA — Canada needs to spend more money building prisons because of violent criminals and a rise in unreported crimes, Treasury Board President Stockwell Day said Tuesday. "We're very concerned . . . about the increase in the amount of unreported crimes that surveys clearly show are happening," Day said at a news conference. "People simply aren't reporting the same way they used to." Now, to be fair to Stock, he does have a point. A lot of crimes go unreported. And while this prompted a slew of Twitter jokes about "unreported crimes" ("murse snatchings", "wearing white socks with sandals", "Nickelback"), a lot of unreported crimes are serious. I know 38% of politicians do it, but you can't just make up statistics to prove your point. Calling herself a fiscal conservative, long-time CTV news anchor Barb Higgins announced Wednesday she's joining the race to become Calgary's next mayor. "I have researched and written the news but I've had to stay neutral and I have made the decision to jump into municipal politics because I don't want to stay neutral anymore," she announced to reporters gathered in a hotel ballroom. "We have a great city, a well-run city, but new thinking will only come from new people." Despite earlier denials about her mayoral intentions, Higgins said she only started seriously exploring her candidacy two weeks ago. She abruptly resigned last week from the Calgary CTV News at 6 anchor desk she shared with co-host Darrel Janz for 21 years. Depending on how you define "credible", there are now up to a dozen credible candidates in the field. On name recognition alone, Higgins and Alderman Ric McIver are clearly out in front of the pack (it's far too early to talk about committed support in polls). While The race won't heat up until after Labour Day, the next month will be critical for the 10 men in that pack, since it's unlikely more than 1 or 2 of them will be able to break free and give the front runners a run. I'd expect a few of them to drop out if they feel they're not gaining traction. If none of them do break free, then a Higgins-McIver race would be an intriguing contest. McIver has been running for at least 5 years, so he's got the money and volunteers in place. Right wing groups in Calgary will line up behind him, but that certainly doesn't guarantee anything in a city which, counter intuitively, tends to elect Liberal mayors. Higgins is better known than anyone else in the race, yet she remains the election's biggest unknown. She's a late comer to the contest, it's unclear what kind of organization she has (there are rumours of Rob Love being involved), and she's untested in the political arena. No one really knows where she sits on the political spectrum, though her first press conference suggests the campaign may turn into her defending Bronconnier's record, while McIver attacks it. As they say, there's still a lot of baseball to be played. But Higgins' entry is a curve ball that has completely changed the dynamics of this race.